Japanese Technology: Switle Washing Vacuum Cleaner! This patented Japanese invention lets you clean stains out of fabrics such as carpets, mattresses and furniture! The Switle can be connected to your own vacuum cleaner and is suitable for most household vacuum cleaners, and washes the stain out while it vacuums! It’s very simple to use: Add about 500ml of water to the Switle, attach it to your vacuum cleaner and turn the vacuum cleaner on. As shown in the video below, it will remove the stain in around 1 minute! 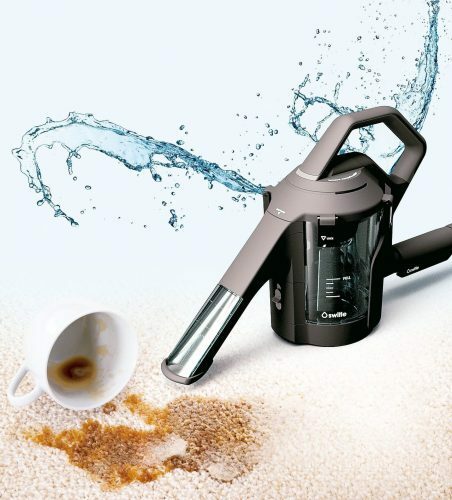 The Switle comes with a patented dry and wet separation technology, so you won’t have to be afraid of your vacuum cleaner sucking up any water!